This study updates the pioneering research that established the size of the global wellness economy in 2014. Comprising ten sectors, the report finds that the wellness economy is worth $3.7 trillion, representing 5% of global economic output, and is almost half the size of all global health expenditures. The research confirms the unstoppable momentum of the wellness economy as predicted two years ago. 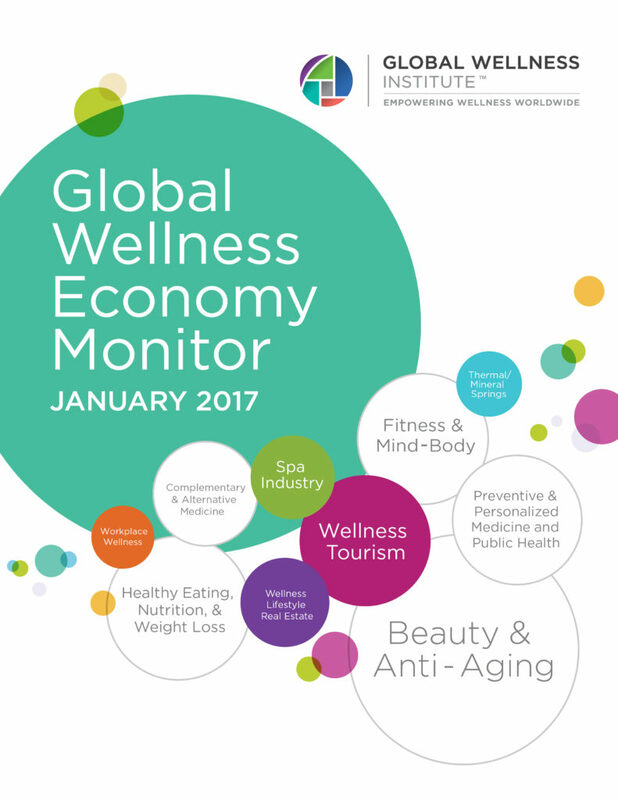 On January 31, 2017 at a unique press event at Steelcase headquarters in Manhattan, the GWI released the Global Wellness Economy Monitor, the only research that measures and analyzes the ten markets (from fitness/mind-body to wellness tourism) that comprise the global wellness industry. If you are interested in sponsoring GWI research click here.